SAGITA COM - Master ISO Windows XP Pro SP3 Special Edition 2013 adalah System Operasi Windows XP Pro SP3 spesial dari SAGITA COM. OS ini dilengkapi dengan instalasi otomatis dan update Driver Pack terbaru, LAN, WLAN, dan driver SATA / AHCI, dan banyak lagi. Sistem ini sepenuhnya dioptimalkan untuk kecepatan, sedangkan registrasinya telah diuji validitas dan bisa mendapatkan update dari Microsoft. All the latest Windows XP Service Pack 3 Update to 12.2.2013. Microsoft European Union Expansion Font Update v1.2. Microsoft XML Core Services v4.0 Service Pack 3 (KB973685). Windows XP Root Certificates Update (KB931125) Version December 2012. Microsoft XML Core Services v4.0 SP3 4.30.2107.0. Microsoft Update Catalog Web Control v7.4.7057.249. Microsoft Update Web Control v7.6.7600.257. Microsoft Windows Update Web Control v7.6.7600.257. Windows Genuine Advantage validation v1.9.42.0 (Cracked). Microsoft Windows Browser Choice (KB976002 v5). Microsoft Visual C-family v1, v2, v3, v4, v5, v6, v7, v8, v9, v10, v11. Open a command prompt Shell Extension v2.2.1. DriverPack BASE (over 200 MB of additional drivers) – Removable: MassStorage v12.09 (SATA / AHCI), LAN v12.05, WLAN v12.02, CPU v10.05. 7 more themes Windows XP: “BlackMesa v1.1», «My ChaNinja RC5 v1.0″, “Disney – a magical world v1.0″, “Luna Element Black v5.1 + CSS”, “NeoGeniX LS v1.0 “,” Royale Remixed v1.47 “,” Windows 7 Colors v1.0 “. Windows XP CD-Key Changer v1.0 [The folder "(source) OEM WinXP_BE"]. A text file with additional Indeed WGA CD-Keys [The folder "(source) OEM WinXP_BE"]. MF4SBF patch v2.0: Fixed Windows XP slow loading error is caused by the “Microsoft NET Framework v4.0.30319 NGEN”. Service. TCP / IP Patch: allows you to have 16777215 (unlimited) Half-Open TCP Connections instead of 10 (Limited). Uxtheme Patch: Allows you to use the United Nations, signed custom visual styles. RAID-5 Patch: This will enable Software RAID-5 Support. Nothing removed that could cause system or software problems. Media: images and the background, Movie Maker, Music Samples, Old CDPlayer and Sound Recorder. Network: Communication tools, MSN Explorer, Netmeeting, Outlook Express, Windows Messenger. Operating System Options: Blaster / Nachi removal tool, Desktop Cleanup Wizard, Out of Box Experience (OOBE), Tour, Zip Folders. Drivers: Display Adapters, IBM ThinkPad, Logitech WingMan, Microsoft SideWinder, Scanners, Serial Tablet Sony Jog Dial, Toshiba DVD decoder card. 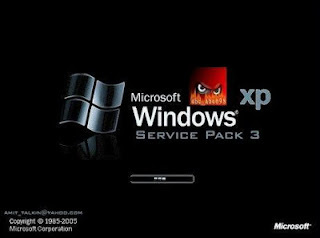 Added all the latest Windows XP Service Pack 3 Updates from 13/02/2012 to 03/12/2013. Removed custom Windows XP Theme NeoGeniX LS v1.0. Updated K-Lite Mega Codec Pack from v9.7.5 to v9.8.0. Updated Microsoft Visual C + + 2008 SP1 Runtime Libraries from v9.0.30729.6313 to v9.0.30729.7497. Updated Microsoft Silverlight from v5.1.10411.0 to v5.1.20125.0. Updated Flash Player ActiveX Control from v11.6.602.168 to v11.6.602.180. Updated Java SE Runtime Environment (JRE) from v7 to v9 Update 13 Update 17. Updated Tweak Suppressing Microsoft Update nagging to install Windows Malicious Software Removal Tool (KB890830) from v4.17 to v4.18. ini 64bit bneran bukan gan..?? Gak pkk key, langsung full version.